Done with Apple Notes and looking for a way out? You can try Google’s excellent note-taking app, Google Keep. It’s now a robust notetaking service available everywhere from the web, Chrome, Android to iOS. Here’s how to transfer your notes from Apple Notes to Google Keep. Apple Notes makes it extremely difficult to export notes. And Google hasn’t created an automatic importer. This means you’ll have to manually import notes from Apple Notes to Google Keep. One by one. The official way to do this is by using the Google Keep app. 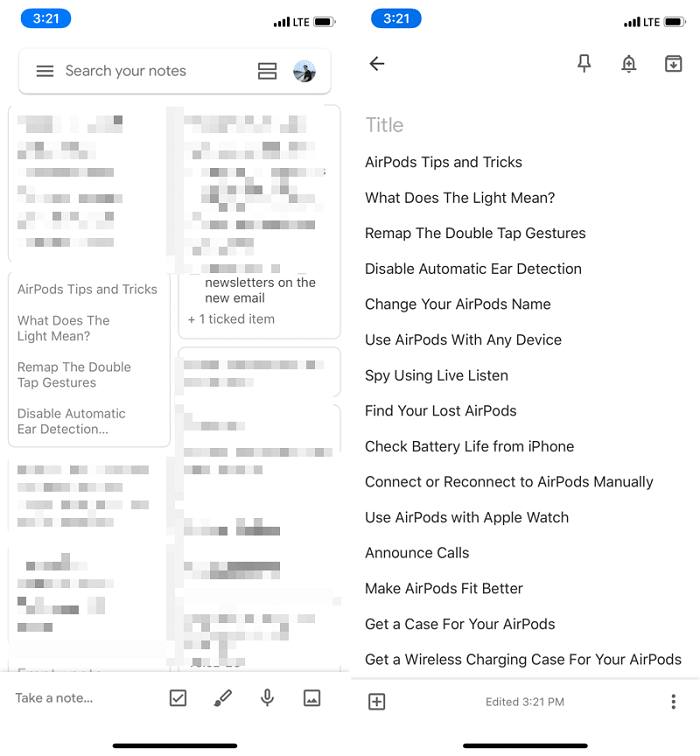 It’s a workaround, but basically, you use the share extension to transfer notes from Apple Notes to Google Keep. 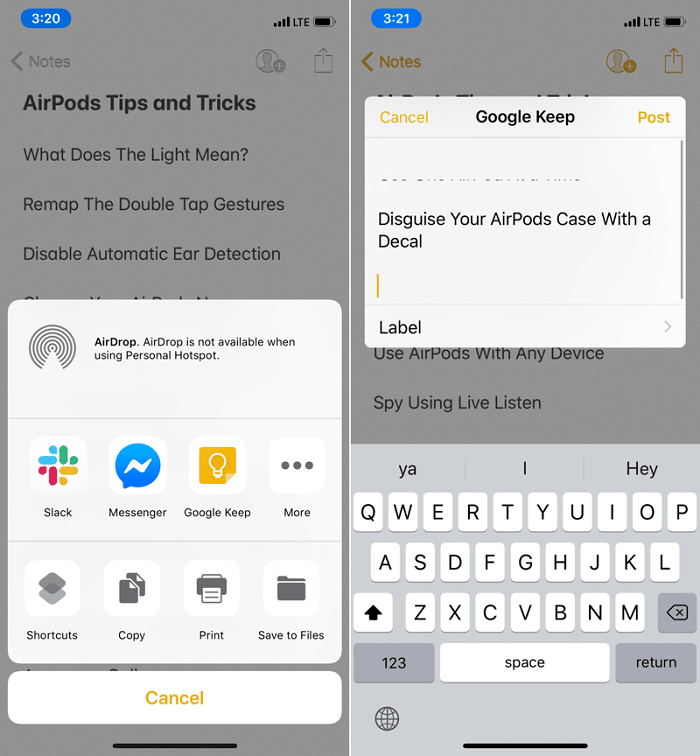 Step 1: Open a note from the Notes app after installing the Google Keep app on your iPhone. Step 2: Tap on the Share button. Here, swipe all the way to the end, tap on More and enable the Google Keep extension. Step 3: Select the Google Keep extension. You’ll see a popup. Here you can choose which account to add the note to. And then tap on Post. The note will now be added to your Google Keep account. 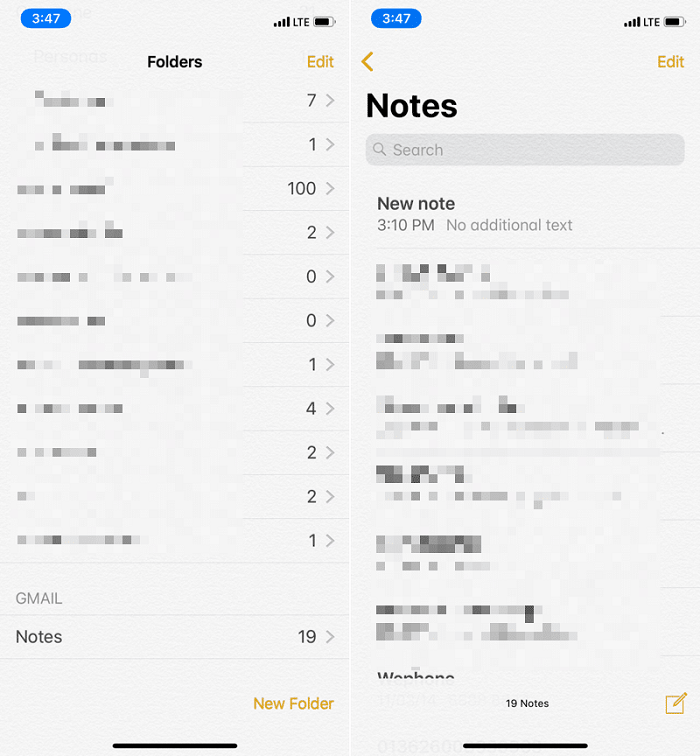 Follow the same process for all the notes you want to transfer from Apple Notes to Google Notes. There’s a setting that lets you use Google as the syncing engine for notes in Apple Notes. This doesn’t mean all your notes show up in Google Keep automatically. They can merely be seen from Gmail app and you can then copy/paste to Google Keep manually. There are a couple of caveats involved. 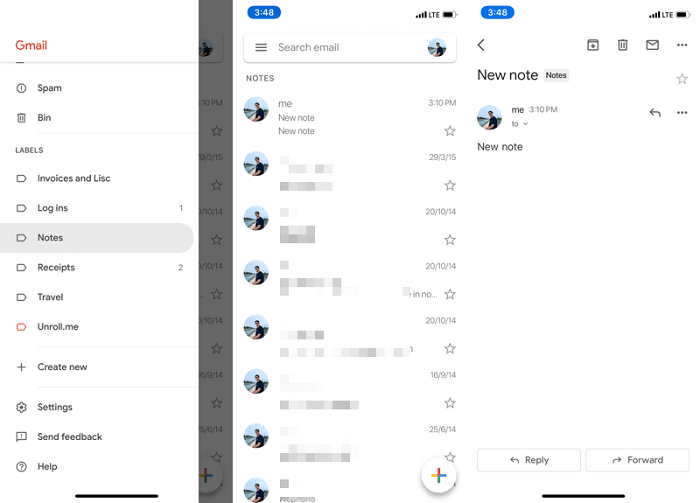 Even after you enable Google as a source for Apple Notes app, it doesn’t actually start syncing all the notes from your iCloud account. It will only sync notes that are in the Gmail folder. To make matters worse, I couldn’t find a way to move notes from iCloud folder to Gmail folder. 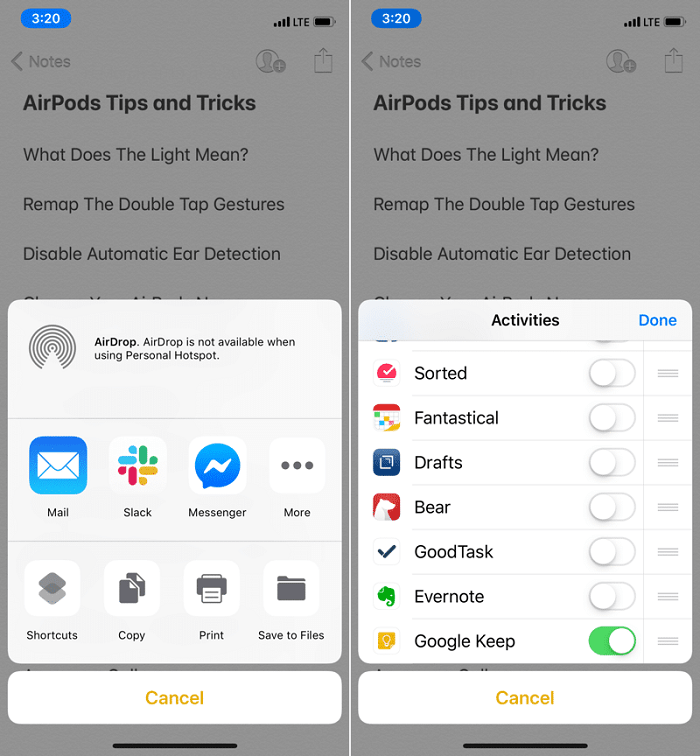 ➤ Manually copy text from a note in the iCloud folder. ➤ Create a new note in the Gmail folder and paste the text. ➤ Open the Gmail app or Gmail website and find the Notes label. ➤ Open the note in the label. ➤ Manually paste the text in a Google Note on the web. This route is also manual. The bright side is that you can do some batch processing. And you can paste the text in Google Keep using your computer, which makes things faster. 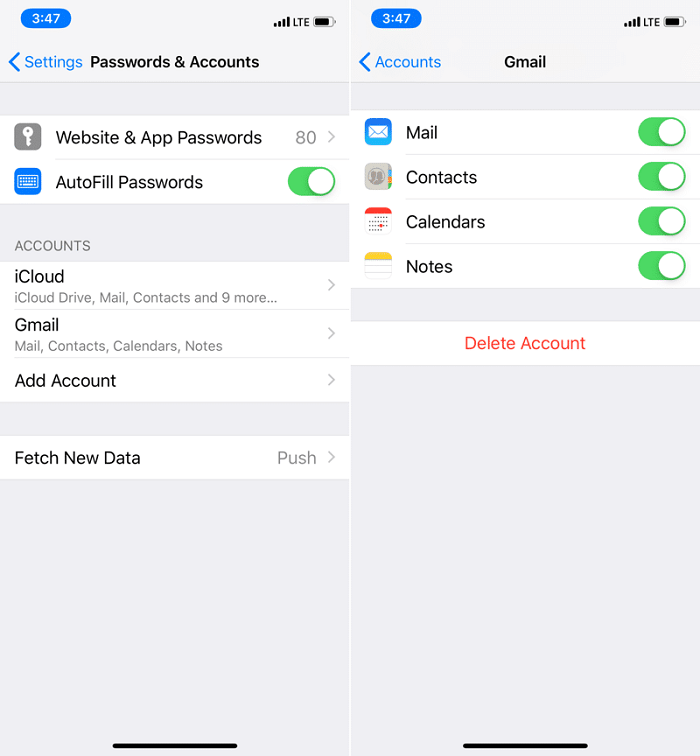 Step 1: Open Settings on your iPhone and go to Accounts & Passwords. Step 2: If you haven’t already, add your Gmail account. 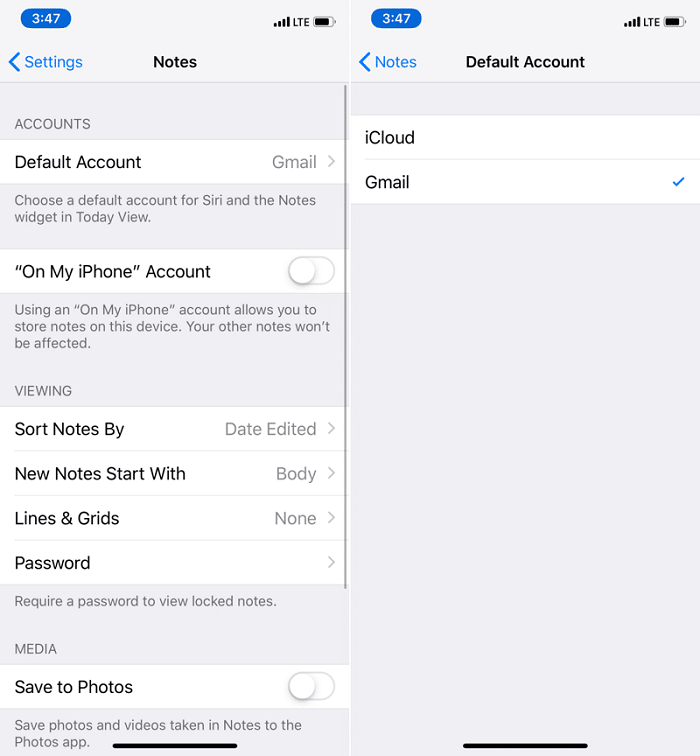 Step 3: Then select your Google account and turn on the Notes syncing feature. Step 4: You can make the Gmail your default account. To do that open Notes section in Settings and tap on Default Account. Now select Gmail.